Canadian Hydropower. 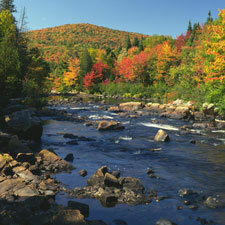 Electricity that is clean, renewable and reliable - Hydropower offers a sustainable and affordable source of electricity. It converts waterpower into electricity at a more than 90% efficiency rate, without consuming or depleting water. The hydropower industry is committed to working collaboratively with host communities to ensure projects are developed in the most sustainable and socially acceptable way. Canadian hydropower provides a clean, renewable and reliable source of electricity with no air pollution and close to zero greenhouse gas emissions. Tens of thousands of jobs are supported every year by the hydropower industry. This benefits local communities, but also the Canadian economy at large. Canada is the third largest producer of hydropower in the world! Hydro infrastructure is spread from coast to coast and accounts for approximately 60 % of electricity generated in Canada. 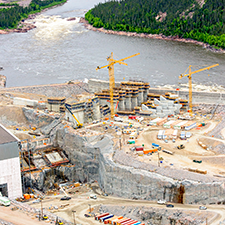 Learn more about how hydropower is making news in Canada and around the world.